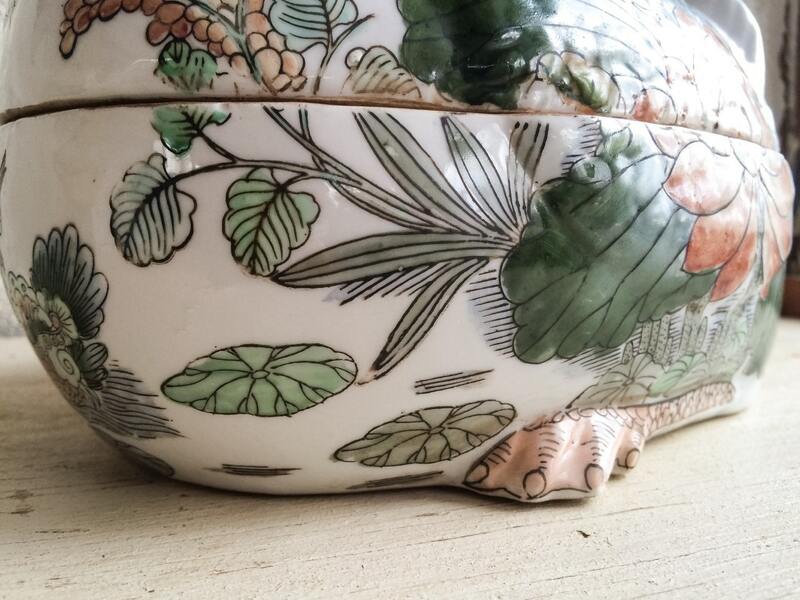 Here we have a beautiful Macau porcelain covered dish, hand-painted in rose, sage green, and pale blue. 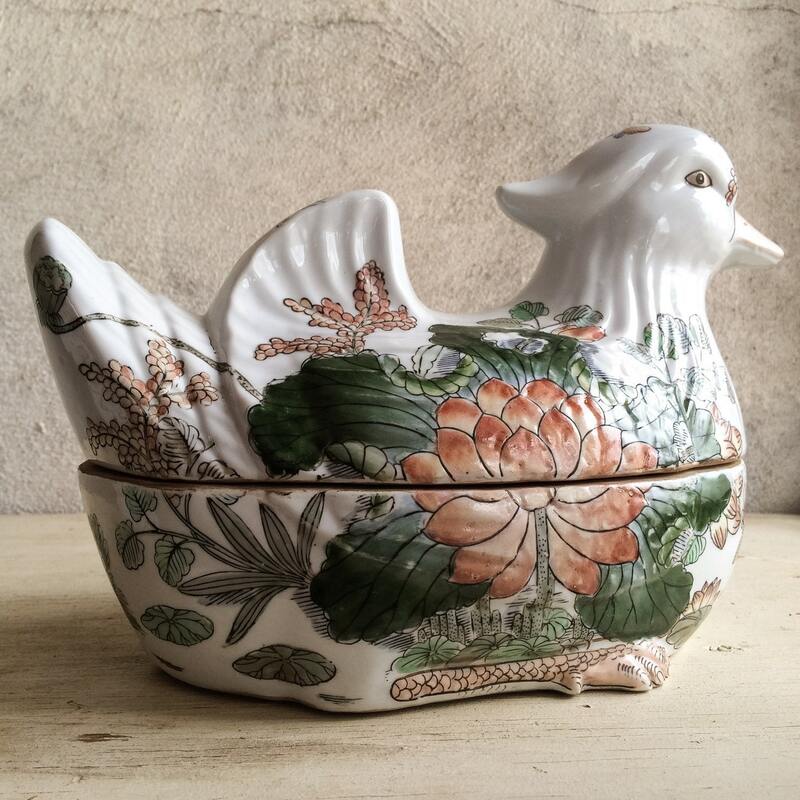 During the Chinese Revolution (1965-1975), Chinese porcelain decoration moved to Hong Kong and Macau; Macau's is known by the pale enamels. This one also carries the original price tag and a Macau stamp on the bottom. 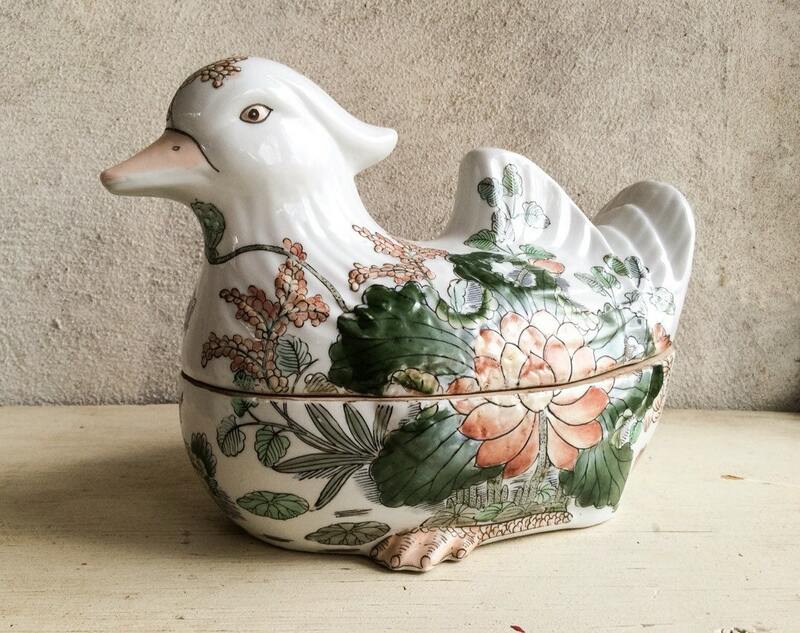 It is a crested duck figurine, and the detail in the painting is amazing--see Photo 4 for a glimpse of the duck's webbed feet. 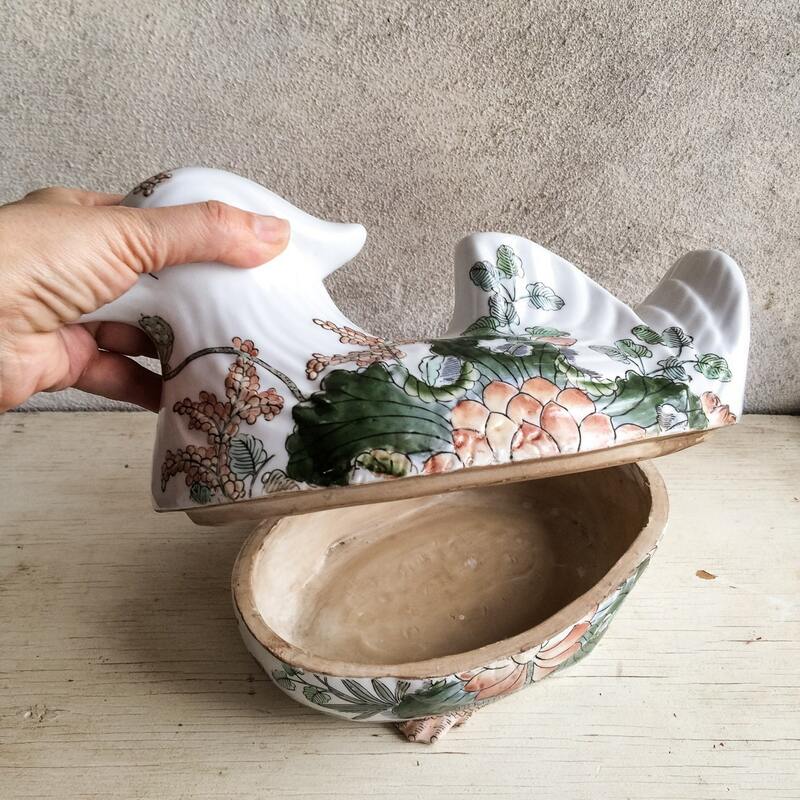 The pot measures about 11-1/2" from beak to tail, about 8" tall and 6-3/8" wide. It is a heavy piece at about 4.5 pounds. 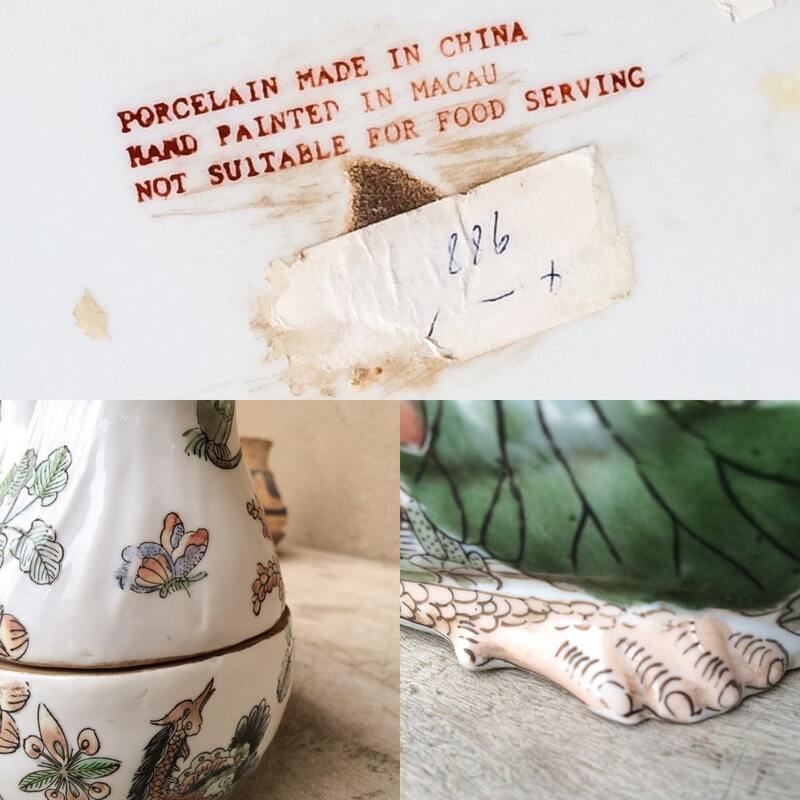 The bottom is stamped "PORCELAIN MADE IN CHINA HAND-PAINTED IN MACAU NOT SUITABLE FOR FOOD SERVING" and the original price tag of $94.99 is on the piece. In excellent vintage condition. Because beauty comes in all cultures.